Mark Johns and Tyler Shain, from Kelleher & Sadowsky of Worcester, recently leased a two-story office building located at 409 Shrewsbury Street in Worcester to Grace Riley Aesthetics. Grace Riley is owned and operated by a nurse practitioner who strives to make you look and feel your absolute best, at any age. 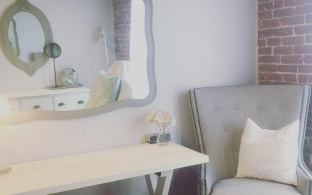 In this new location, Grace Riley will continue to offer a variety of aesthetic services and bridal packages.